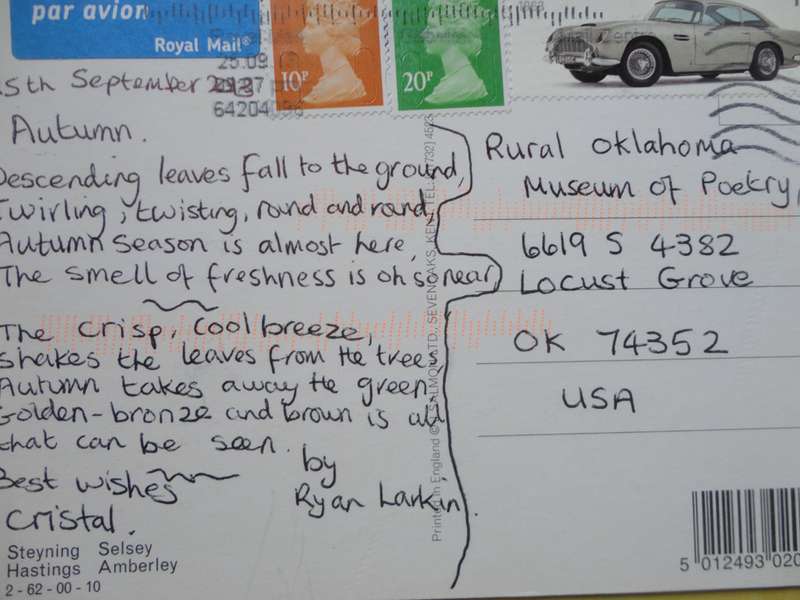 This Ryan Larkin poem came to me from Cristal in Sussex, England. Beautiful feel of autumn in it . . . love the stamps, too. Thanks, Cristal. 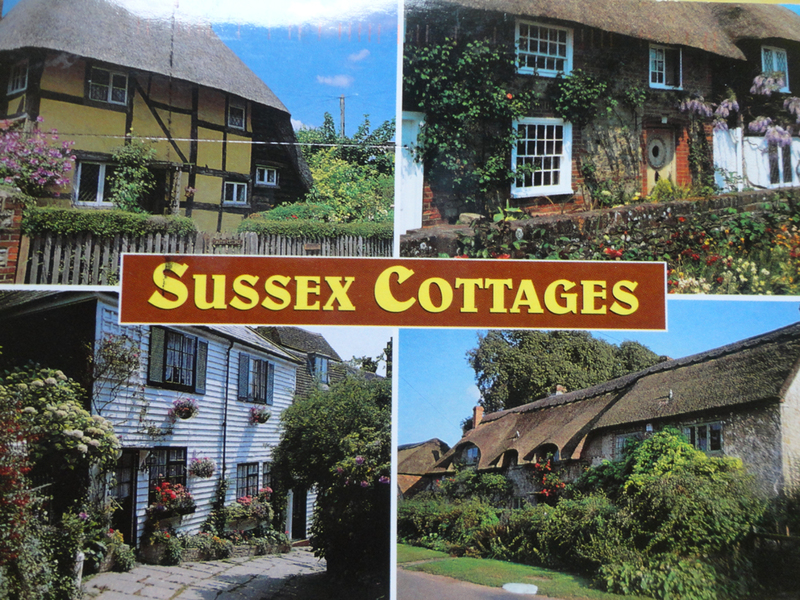 The other side of the postcard–this is definitely a place I would like to visit. I have been to England twice but not seen enough. NOTE: Send me some poetry on a postcard, and I will return the favor.